High praise indeed Jane – I look forward to reading Wharton in 2014! Wonderful piece Jane – I really want to read this and I do have it on kindle – but I would rather read it in book form really. Also lots of people say it is her best – and so that seems another reason to save it. Isn’t she? This is an Edith that I ignored for so many years, for reasons that I can’t remember. How foolish of me! You’ve described the book so perfectly that I know you will save other readers from the same sad fate. I’m reading the new Alan Bradley/Flavia de Luce mystery, and there’s an Undine in it who I think is going to come to the same end. A brilliant piece of narrative and a must read indeed. 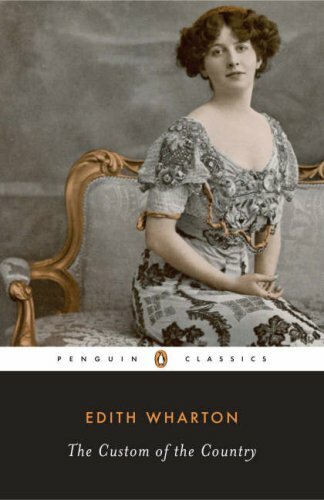 Edith Wharton is such a deserving read. You remind me that I have read far too little Wharton. I am quite seriously toying with the idea of starting a list next year of all the writers I realise I should know or know better as a result of bloggers reviews and then spending the whole of 2015 reading my way through it. Great post- I immediately added this to my wish list! What a lovely post. I too am reminded that I must read more Wharton. Excellent post!! Undine may be the most memorable character I’ve ever encountered, and I totally agree – Wharton was a genius!